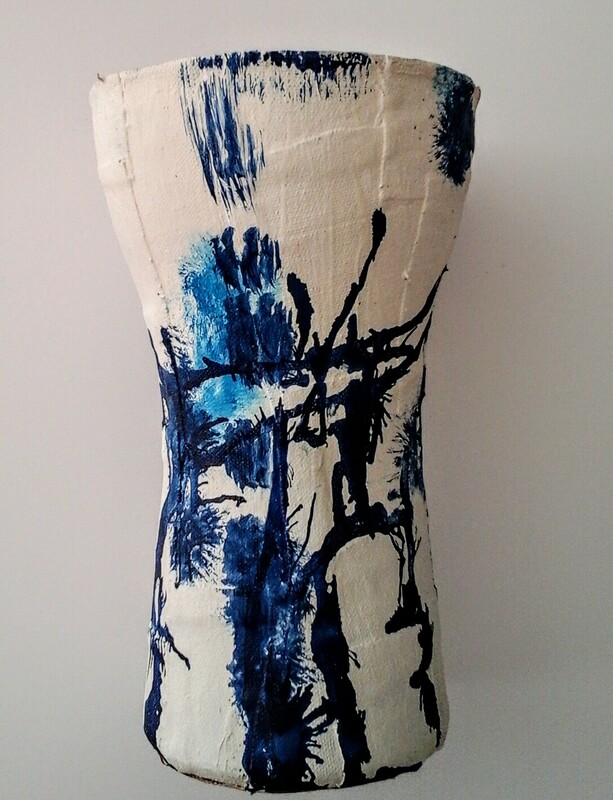 Art is simply to me the 'Way I see it' and the narrative I'm trying to convey about my Art. 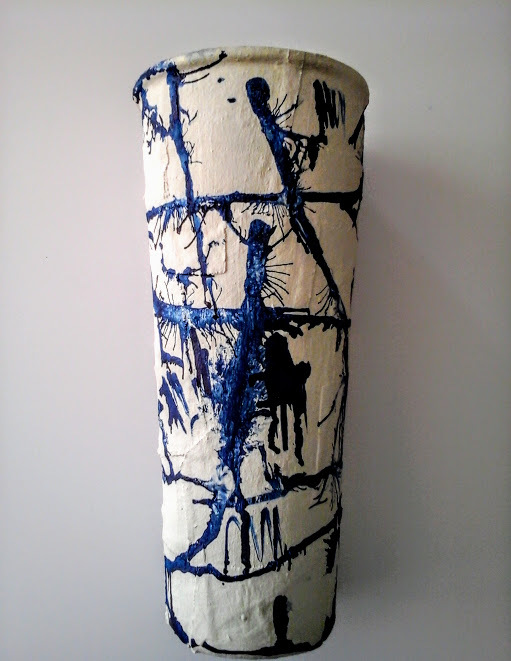 I always look for new ways to express myself in Art regardless of the medium or material available to me. It is interesting for me to look out for other ways,to create curiosity and still enjoy creating Art. I bought glass vases from a charity store I visit frequently and I wanted more from them in terms of aesthetics and Art. 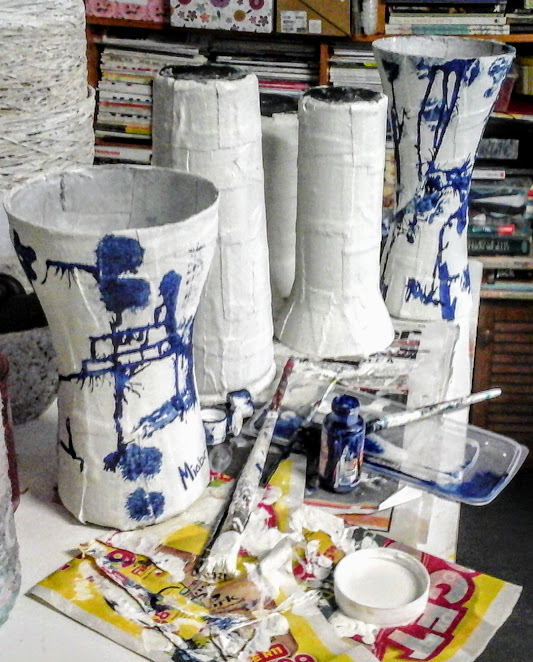 I decided to created and outer layer that is textured with fabric, like a decoupage on the glass vases, that will enable the paint to stay. 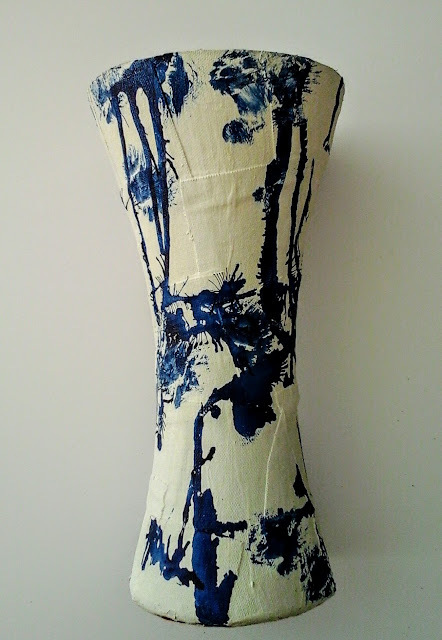 I used chalk paint in order for the Ink to sit well instead of floating of. 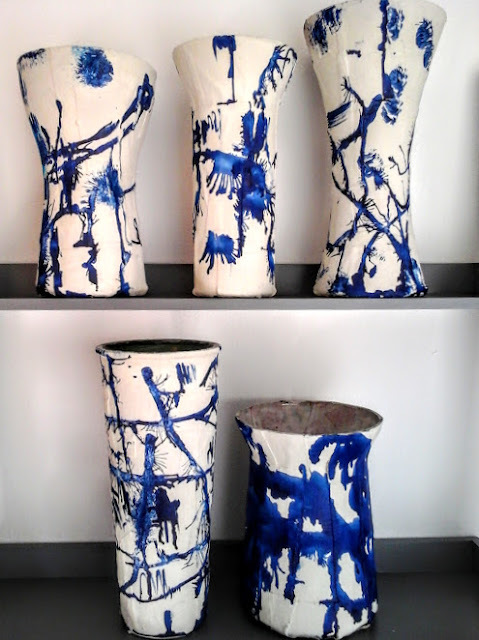 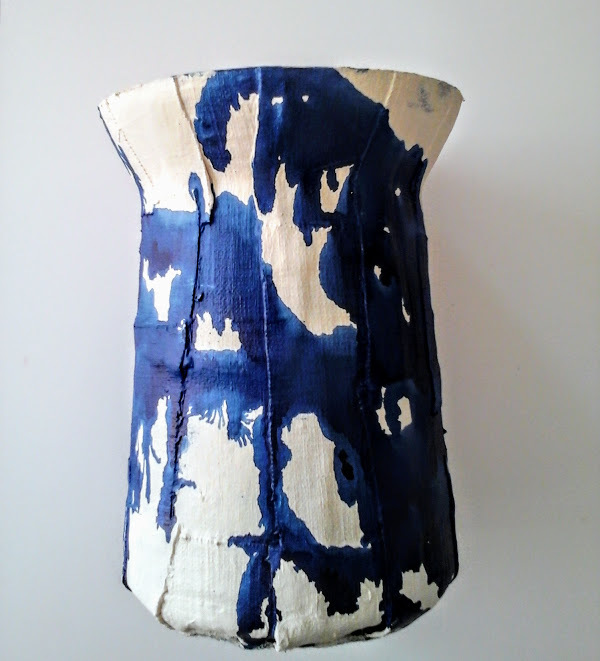 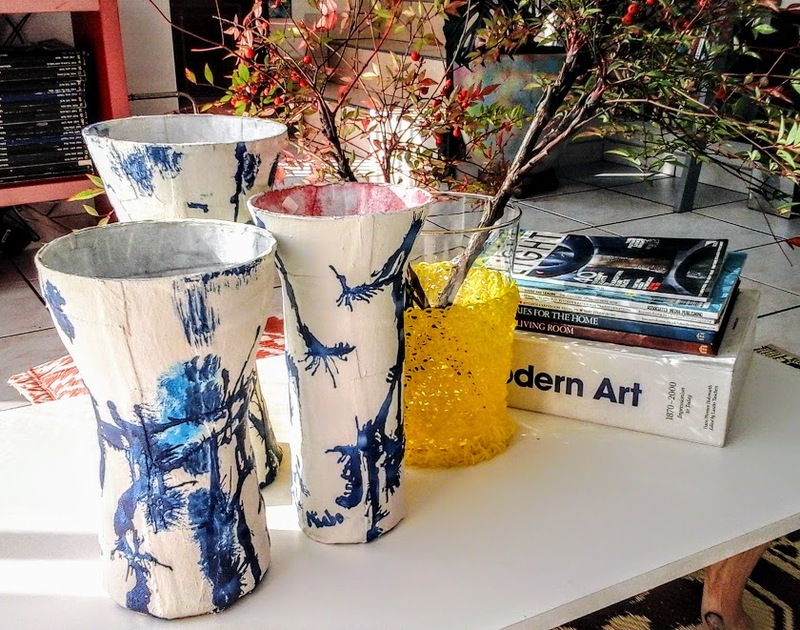 It went well and here I present to you my Abstract Art chalk and Ink painted fabric textured Vases......Enjoy.